Approved for 2.5 hours CRC CE credits. Cost of course includes free reporting to InFRE of CRC CE credit after passing CE exam. Plan sponsors have the fiduciary responsibility to manage a plan investments prudently and diligently. 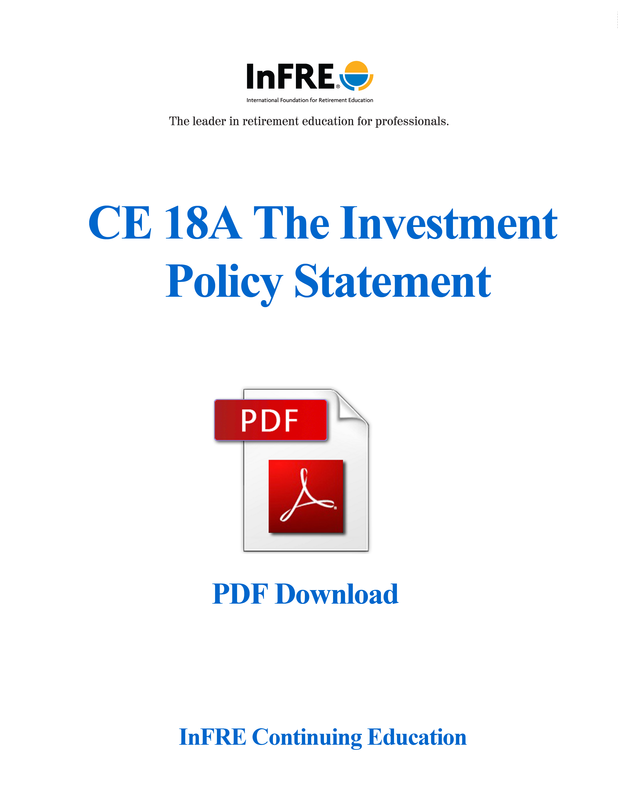 A written investment policy statement details the approach fiduciaries will follow in carrying out this important duty, and documents how investment-related decisions will be made. This course presents practical guidelines for fiduciaries and administrators when developing an investment policy statement. A distinctive feature of this course is discussion of the differences between defined benefit and defined contribution plans and the issues that should be considered when formulating investment policy for the different types of plans. PDF Download with single print option with single print option.